Randy & I took Maranda to The Woodlands for a long 4th of July/Our 1st Anniversary weekend. Fun photo of Maranda & I at The Cheesecake Factory. Yummy! I am trying to make some cute display items to have at my home next weekend during my Thirty One party. I made this banner using the Big Shot & Pennant die to cut both the pennant and the scallops. Each pennant is attached to the next using rhinesstone brads and the ribbon on the ends are tied through jumbo eyelets. The paper is Sweet Pea DSP. I am making water decor for crystal light packets and will post soon. Here are 2 more quilt squares using the Big Shot dies to cut the images. Wheew, the butterflies are hard to sew. 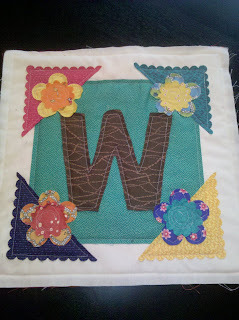 This is the quilt square I designed for my quilt and for a contest at The Stamp Shack. 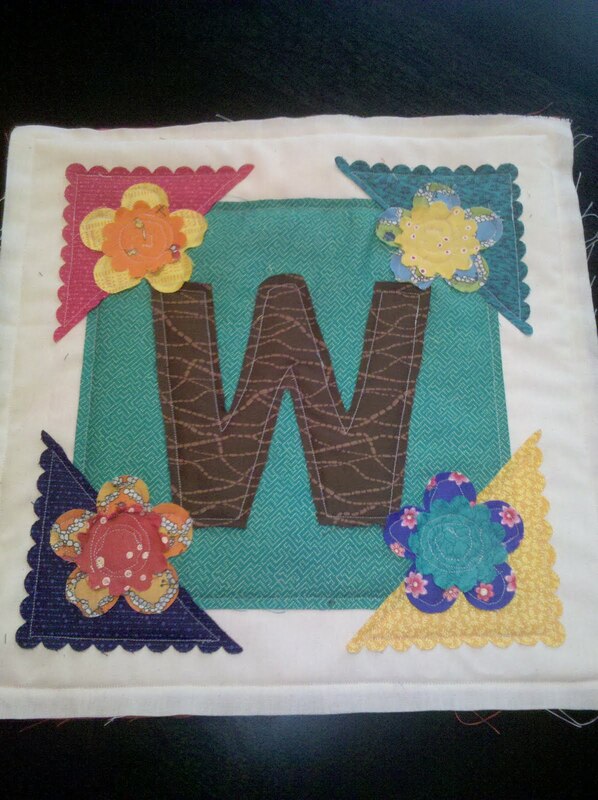 The "W" is freehand but all other images are cut with the Sizzix Big Shot. A precious Baby card using So Saffron cardstock, So Many Scallops stamp set and B is for Birthday set, scallop punch and accent ribbon.